[www.bbc.com] Read more about sharing. 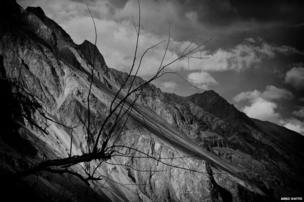 A part of the remote region of Baltistan lies on the northern-most borders of Indian-administered Kashmir. Baltistan mostly falls in Pakistan, where it is part of the Gilgit-Baltistan autonomous territory. 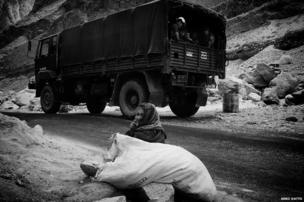 Photographer Arko Datto has been chronicling the life of the residents in the Indian-held areas. The Indian-administered area was virtually inaccessible to the public before 2010, when the government decided to allow access to a couple of villages. 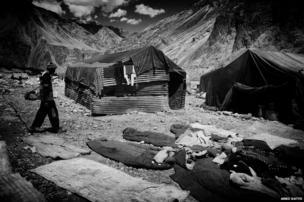 The area can be reached only by a circuitous route through the Nubra Valley in Ladakh. 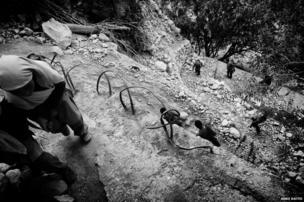 Another route through the mountains is being constructed. 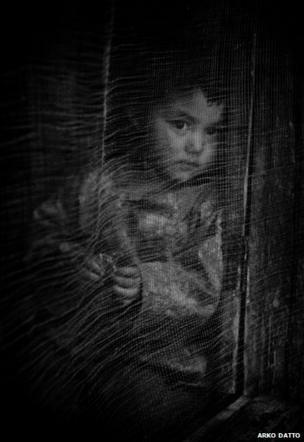 A girl in Turtuk village, one of the few to be opened to tourists. 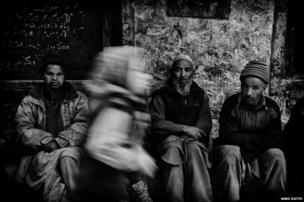 There are seven villages in Indian-held Baltistan with an estimated population of 5,000 people. The Baltis are predominantly Muslim. 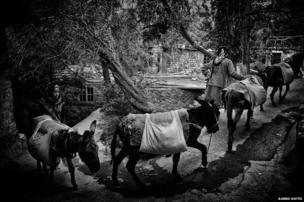 Arko Datto says that like "much of Kashmir and Ladakh, the people here are very hospitable". He adds: "It is not uncommon to get invited into people's homes for a cup of 'namkeen chai' (salty tea) and apricots." Some in Baltistan have opposed the opening up of Turtuk to tourism, convinced that only harm can come out of it. 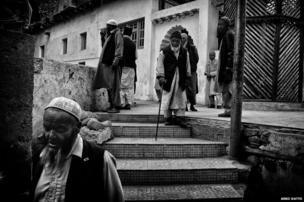 This photo shows Balti elders leaving a mosque after evening prayers. The region has a strong military presence as Turtuk is just a couple of miles from the Pakistan border. Community ties here are strong. 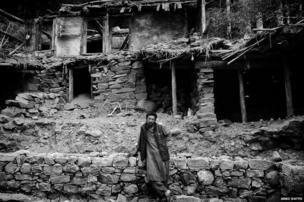 A man stands in front of his house destroyed by a landslide. During rebuilding, he says, the entire village will help him out. The villages in the area are sparsely populated. 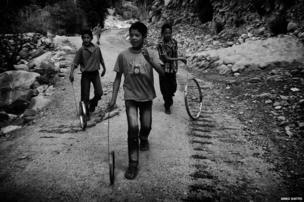 This photo shows children returning from school in Turtuk. 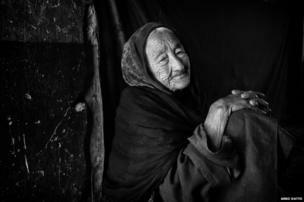 One of the oldest villagers in the region, this lady was born in Pakistan and later moved on to the Indian side. Migrant labourers from the states of West Bengal and Bihar help in the construction and maintenance of roads in the region. Apricot farming is one of the primary sources of revenue in the region. 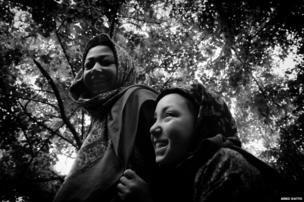 This photo shows girls in an apricot orchard in Baltistan.